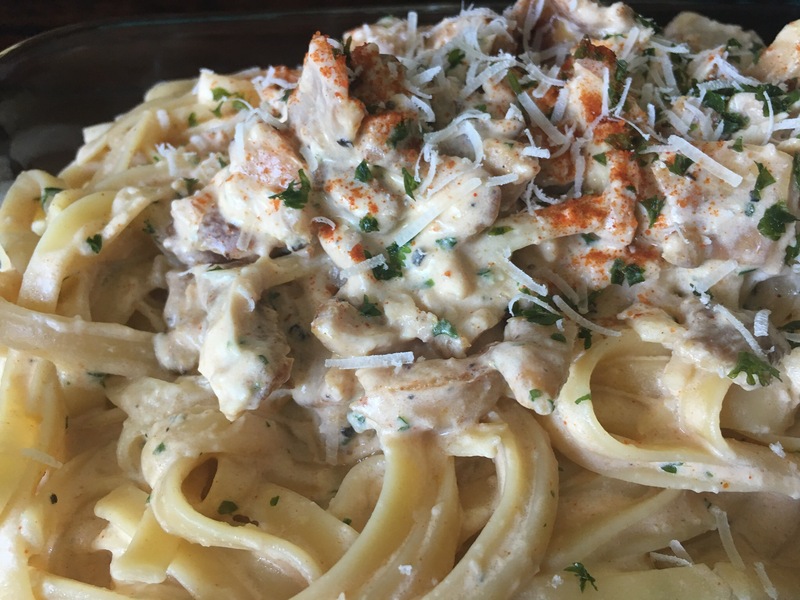 Chicken, mushroom, and spinach fettuccine alfredo – Hurried Home Chef! There are many recipes for this and a short cut is to get a jar of the ready made sauce. First preheat the oven to 375 and put the chicken on a baking sheet lined with parchment. 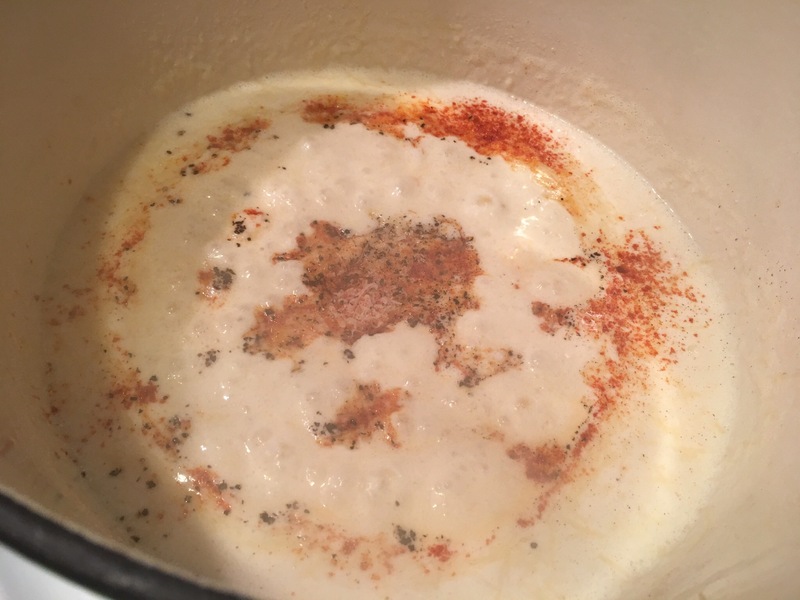 Season it with sea salt, black pepper, cayenne. Bake until fully cooked. Chop the mushrooms and spinach. Put the water to boil for the pasta. 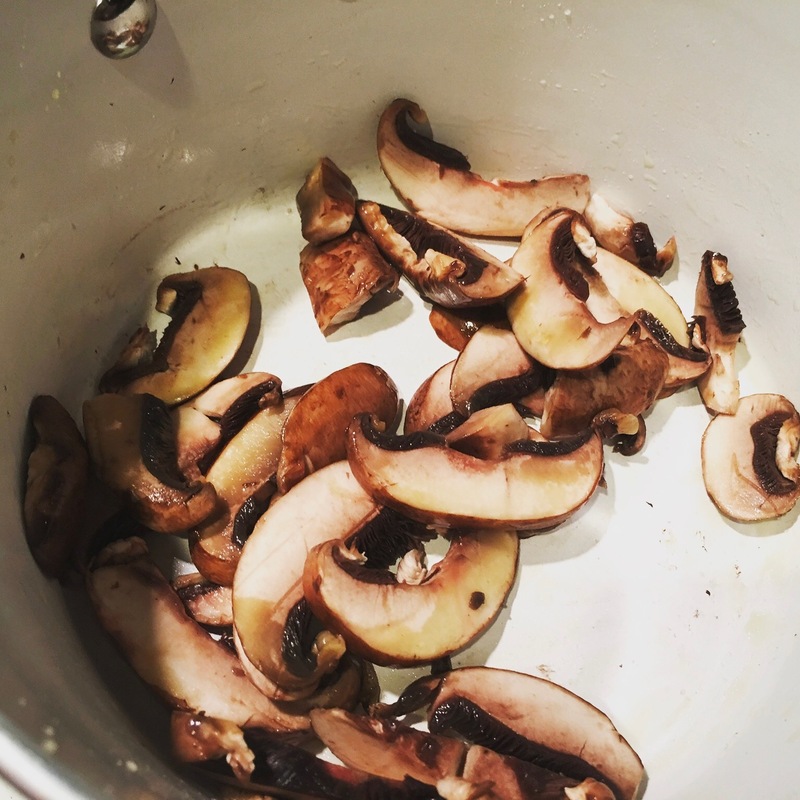 After you sauté the mushrooms in EVOO +/- butter, let them lose water a bit, add salt and grated garlic, try to get them a little crispy. 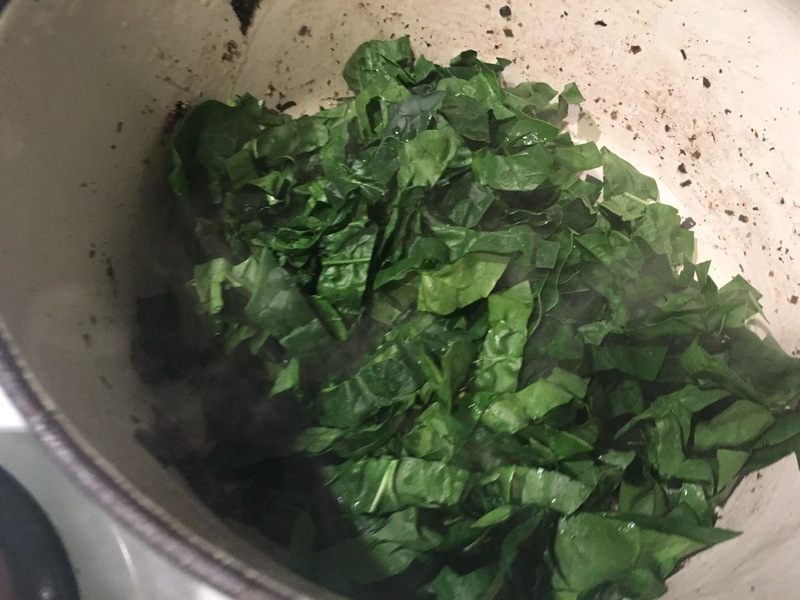 Once done, remove from pan and add spinach. Season the same way and allow water to cook off. 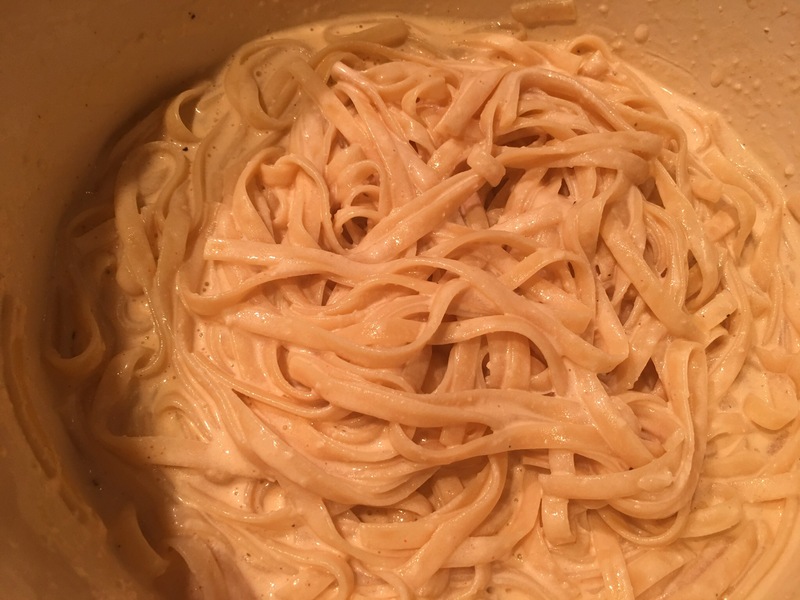 Meanwhile, cook the fettuccine noodles to your liking and drain, keeping some of the pasta water. Then build the sauce. Melt some butter, add some EVOO to keep from burning, add garlic if you like, then add cream. Then grate some parmigiana, as finely as you can. Once it boils, be careful not to have it so high that it sticks to the bottom and burns. 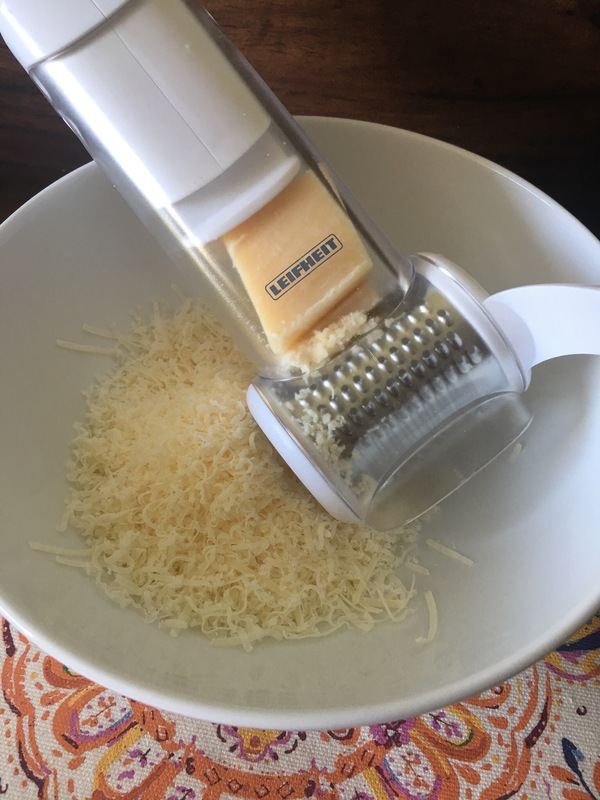 I stir in the grated cheese slowly so it melts. I also put the cream cheese here too with pepper, cayennne, and a tiny bit of salt. Taste it as you go along to see if more salt is needed. Once the thickness that you want is achieved, it should coat the back of a spoon, then start adding ingredients. I added the pasta, using some pasta water to thin it a bit. Then add chicken, mushrooms, spinach and taste again to see if more salt or heat is needed. Serve immediately. Grate more parm on top if you want.